When actress Thelma Todd was found dead on December 16, 1935, the circumstances surrounding her death would become a subject of much debate that would last for over 80 years. Did she commit suicide? Was it an accident? Or was she the victim of a crime? Although there already had been a lot of speculation about how Todd might have died, the 1989 publication of Hot Toddy: The True Story of Hollywood’s Most Sensational Murder by Andy Edmonds brought that speculation to a new level by alleging that Todd had been the victim of a mob hit orchestrated by none other than Lucky Luciano, the major mob leader. But is it true? Was one of Hollywood’s most famous unsolved mysteries orchestrated by one of the most notorious gangsters of all time? It’s hard to say. To this day, Thelma Todd’s death is officially considered an accident. But in the time since the publication of Hot Toddy, the Luciano theory has certainly become one of the most popular theories. And it’s hard to not be at least a little intrigued by it. As someone who has long been fascinated by this case, I know I was, so I’d had this book on my list of books to read for a long time. Hot Toddy covers the entire course of Thelma Todd’s life, from her youth in Lawrence, Massachusetts to her time as a student at an acting school run by Paramount, her rise to Hollywood stardom, and her mysterious death. Although there had long been rumors that Thelma Todd had been murdered, Edmonds’ book stood out because she had anonymous sources who claimed to have been with Thelma shortly before her death. Edmonds definitely had a specific image of Thelma in mind when she wrote the book. She really tries her best to set Thelma up to be a product of her father’s shady connections and her mother’s ambitions, desperately fighting to find something in her life that’s truly her own. Add Hollywood stardom, men, booze, pills, and gangsters to the mix and Hot Toddy gets pretty tawdry pretty quickly. A few years ago, Michelle Morgan published another book on the Thelma Todd case titled The Ice Cream Blonde. Danny of pre-code.com pointed out that much of the biographical information in Morgan’s book comes from fan magazine interviews and letters to fans, which likely contained sanitized, studio-approved statements. And that’s a very valid point. But ultimately, I found Morgan’s style of writing much more palatable since she never seemed to have an agenda or an angle she wanted to work. I will say that Edmonds’ book goes into more detail about Thelma’s pre-Hollywood life, which I did enjoy for the most part. I found the bits about her time at the acting school particularly interesting, since the whole concept of that school was a great example of how the film industry was trying to rehab its image after some noteworthy scandals. But the big thing Hot Toddy is known for is claims about Luciano. As I mentioned, Thelma Todd’s death is still officially considered an accident, so this book certainly did not solve the case once and for all. How much you can believe it depends on how much trust you’re willing to place in her anonymous sources. I really wasn’t a big fan of the extended conversations that are detailed in the book purely because I have a hard time believing that any eyewitness to those conversations would remember them in such detail over 50 years later. AG: I swore that after what they wrote about Thelma Todd, you know “Hot Toddy,” I swore after I was interviewed on the thing I would never do this again: because they screwed the whole thing up! They were absolutely out of their minds. There wasn’t anything in that book that was worth five minutes of her time. What they did to Thelma Todd! “Hot Toddy” they liked the title, but I could see through whoever wrote it. (groans) Oh God! WTS: That was Andy Edmonds. 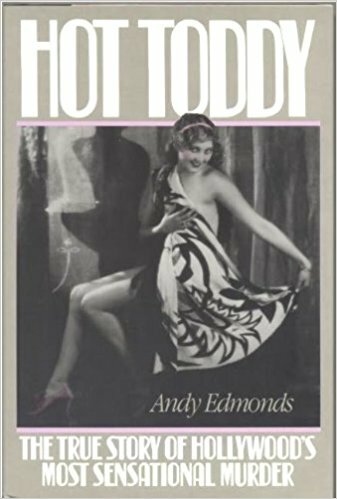 If you have an interest in the Thelma Todd case, Hot Toddy is a must-read if only for the fact that it’s the most well-known book about it. Or if you’re looking for something to read that’s a bit on the tawdry side, you might enjoy Hot Toddy. 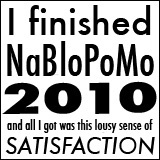 Regardless of why you read it, just be prepared to go into it ready to take a lot of its claims with a grain of salt. Posted in Books/Magazines and tagged Thelma Todd on February 13, 2018 by Angela.